(Natural News) A study published in JAMA Psychiatry has revealed that while children bullied during their pre-teen years may suffer from adverse mental conditions such as anxiety and depression, some children may well outgrow bullying and not endure the lasting negative effects of the abusive behavior. As part of the study, a team of researchers at the University College London, University of Birkbeck and the King’s College London examined more than 11,000 twins born in England and Wales between 1994 and 1996. The research team instructed the participants to accomplish assessments about their bullying experiences between the ages of 11 and 14 years. The scientists also measured the participants’ mental health through various evaluations between the ages of 11 and 16. The results showed that children aged 11 who were exposed to bullying were more likely to exhibit anxiety, depression, and hyperactivity compared to children not exposed to peer victimization. Likewise, the research team observed that children bullied at age 11 tended to show inattention and conduct problems compared to the controls. However, the results also revealed that some effects of bullying appeared to diminish over time. According to the research team, bullying is no longer associated with the onset of anxiety in children at five years after the bullying activities occurred. In contrast, the scientists have observed that other negative effects tied to bullying such as cognitive disorganization and paranoid thoughts persisted through the years. The findings suggest that children may otherwise show resilience in the face of bullying and may well rebound years after the abusive experience, the research team stated. The experts have added that both parents and schools should focus the resources more on initiatives that promote resilience and adaptability in children. “While our findings show that being bullied leads to detrimental mental health outcomes, they also offer a message of hope by highlighting the potential for resilience. Bullying certainly causes suffering, but the impact on mental health decreases over time, so children are able to recover in the medium term…The detrimental effects of bullying show that more needs to be done to help children who are bullied. In addition to interventions aimed at stopping bullying from happening, we should also support children who have been bullied by supporting resilience processes on their path to recovery. Our findings highlight the importance of continuous support to mental health care for children and adolescents,” lead author Dr. Jean-Baptiste Pingault told Science Daily online. The scientific community has both lauded and criticized the recent findings. Dr. Sophie Dix, Director of Research at MQ: Transforming Mental Health, says the results effectively demonstrate the effects of bullying on mental health and that resilience play a key role in overcoming the experience. “This important research is further strong evidence of the need to take the mental health impacts of bullying seriously. We hope this study provides fresh impetus to make sure young people at risk — and those currently being bullied — get effective help as soon as possible,” Dr. Dix has stated. In contrast, outside expert Bonnie Leadbeater is more skeptical of the results. According to the scientist, the study only evaluated the correlation between bullying and mental health at two points in time. Having said that, the findings do not completely clarify how the two factors are related, the expert adds. “The effects of bullying at age 11 on anxiety and depression at age 16 is what diminishes. You cannot interpret this as supporting a more general statement that the effects of bullying lessen over time. 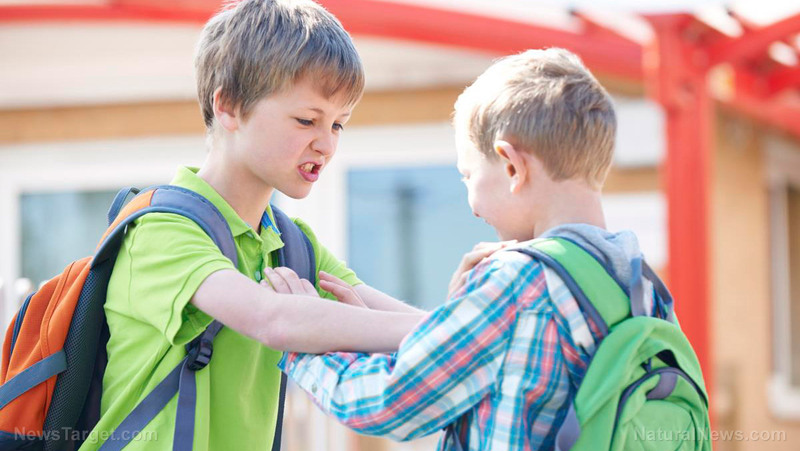 Bullying may be episodic or chronic, and the limited assessment of bullying may severely underestimate the effects of chronic bullying on mental health and behavioral problems,” Leadbeater discussed in a Reuters article.